I love Slurpees. It’s bad. I know. 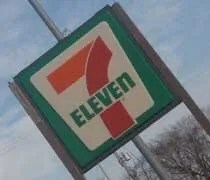 Growing up in Central Illinois, I never saw a 7-Eleven. J, on the other hand, grew up in suburban Chicago where there’s a 7-Eleven on every corner. When we moved to Lansing, we both got hooked on Speedy Freezes from Speedway. I got a craving one night for a Speedy Freeze so I started towards the Speedway just down the street from our place. When I got close, traffic was ridiculous. Not sure if you remember this one, but it was the day everyone was freaked out that gas was going to jump to $5 or $6 and they crowded gas stations trying to fill up before this event that never happened. It wasn’t worth trying to make my way into the small, overcrowd gas station. I remembered passing a 7-Eleven in Holt which wasn’t all that far from our South Lansing apartment. I did a U-Turn and went for my first Slurpee. From that point on, I was hooked. 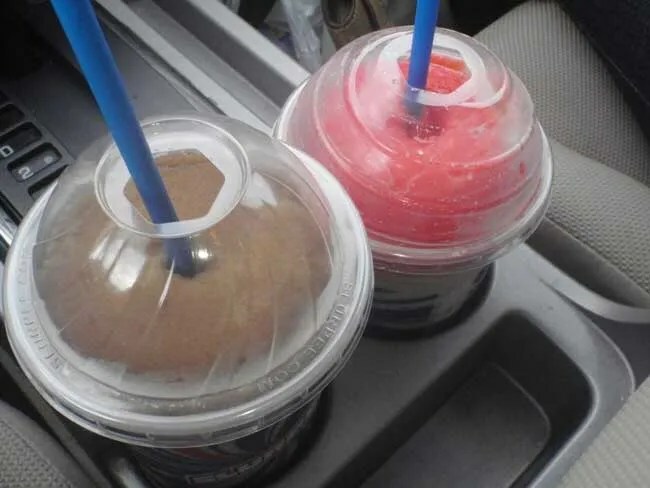 Slurpees were soooo much better than Speedy Freezes. When we moved to Kalamazoo, we started looking for a 7-Eleven. There wasn’t one close to our house, but there was a Speedway, so we fell back in to old habits. Speedway was more convenient, so when the cravings hit, it was down the street to the Speedway. J and I spent Sunday driving around the Kalamazoo area. We’re still getting used to where everything is, so a lot of times, we don’t plan our routes out very well. We started with lunch at University Roadhouse near WMU. After that, we headed out to Walmart in Portage. As we were finishing up there, J said she wanted a Slurpee. A real Slurpee, not a Speedy Freeze. Turns out, the closest 7-Eleven was back near Western. 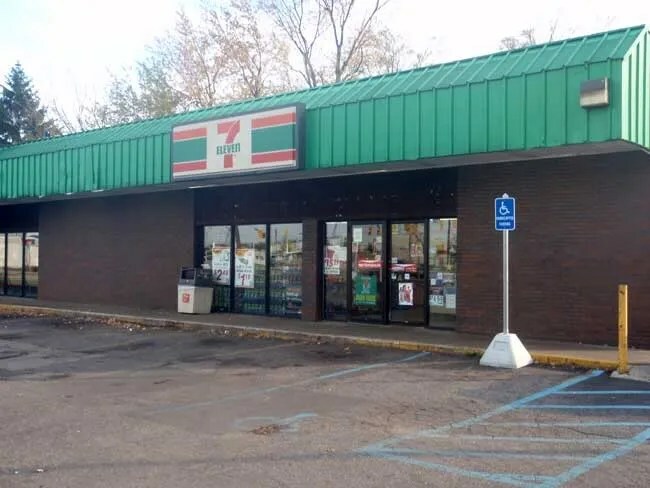 There are two 7-Eleven’s in Kalamazoo. One is on KL Avenue near Michigan Avenue. The other is on Michigan Avenue at Howard Street across from the Campus Pointe Mall. We chose the Michigan Avenue location which shares a building with a Jimmy John’s. It was a quite Sunday afternoon and other than a couple co-eds eating a sandwich on a picnic table, there was no one near either of the stores. 7-Eleven’s always surprise me. Sometimes, they’re spotless like the store in Holt. Other times, you wonder how they pass health codes. This one was sort of in the middle. There was nothing overly gross, but it wasn’t spotless either. It was well-worn. The Slurpee machine is sort of hidden behind the cash register. There’s a WMU flag hanging from the ceiling that looks like it’s dividing the space. I noticed the pop machine behind the banner and assumed the Slurpee machine was back there as well. There are two machines for a total of eight different flavors. I’m boring. Predictable as J would say. I really only like Coke Slurpees. I went to grab a glass, but all they had in the holder were the small paper ones. I finally noticed the 32 oz. cups were on the shelf above their usual spot. We both grabbed a 32 oz. cup and filled up. J is a little more adventurous. She likes to mix flavors. Three of the eight flavors were mixing, but I do remember her starting out with some sort of apple flavor. We went to pay and the cashier was counting her drawer, so we had to wait. She didn’t even acknowledge us at first. She finally looked up and said it would be a minute. We had to wait for her to count her entire drawer and make a drop. I could have drank half my Slurpee by the time she got done. When she finally did get around to us, the total was a little over three bucks. In a way, I wish there was a 7-Eleven closer, but like everything else that’s bad for me, I’m sort of glad there isn’t. We’ll be making this trip every so often for a treat and anytime we’re in the area, we’ll make a detour. Love the Slurpee!